AC induction, squirrel cage elevator motors may be two speed, single speed or variable speed (VVVF). Traditionally a DC machine, AC variable frequency is today's state of the art prime mover for most elevators. 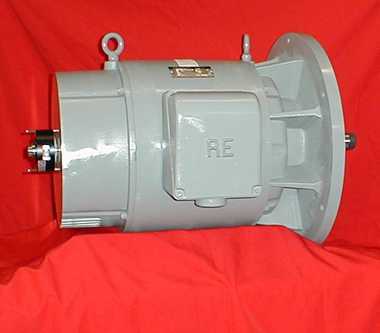 Low slip, closed loop vector duty motors are available from 5 to 200 horsepower 4, 6, 8 or 10 pole. Reuland's unique electrical and mechanical designs are ideally suited for the demanding low noise levels and positioning requirements required for this application. New construction and modernization (retrofitting existing old DC installations) for traction machines is where Reuland's expertise lies. 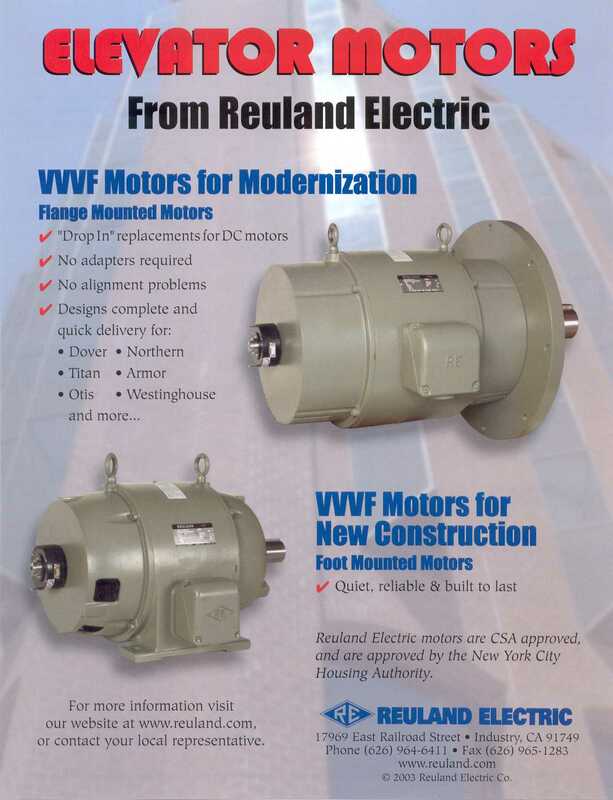 Many older DC machines utilized special flange mount, single bearing motor designs and Reuland has developed a/c "drop-in" replacements for all styles and manufacturer's machines such as Westinghouse, Otis, Titan, Northern, Armor, and Dover. Our bolt-up designs eliminate the need for costly adapters and modifications to standard flange mount motors.